After watching the Women’s Olympic Time Trial the other night, I set out to find some pictures of the athletes, since the speed and moto-base video make it hard to really capture some of the riders positions. 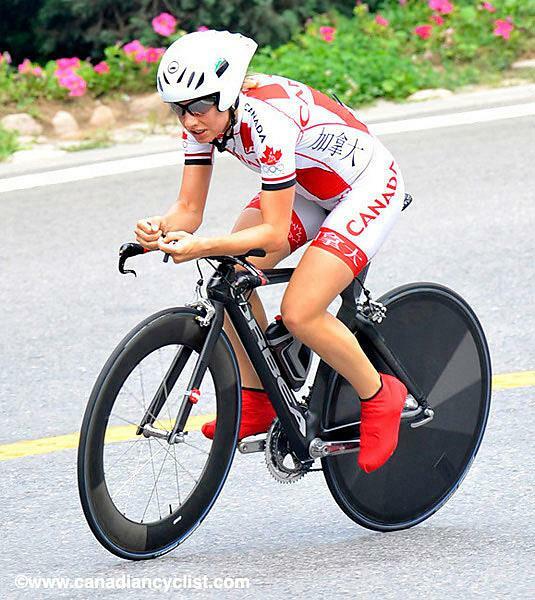 Canada’s lone representative in the TT is a very, very good cyclist who lives and trains here in Victoria. She’s a heckuva nice person, and a tremendous athlete, so I hope that if somehow someone sends this to her, that she doesn’t think I’m picking on her as an athlete. I am not. Unfortunately, she clearly didn’t get a lot of help (or any help) from anyone with an understanding of positioning. Her chances at a podium finish were really over before she left the start house, and what’s such a shame is that they needn’t have been. 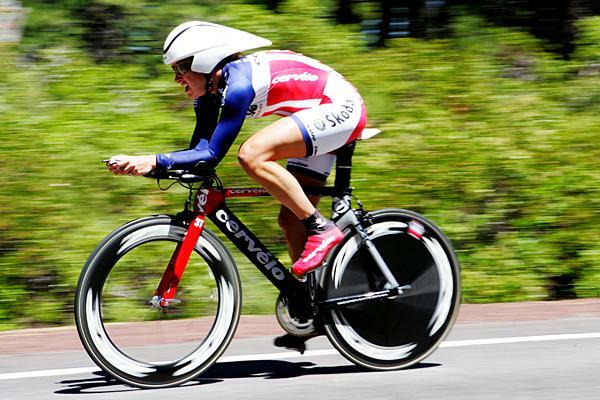 From an ability level, she is a significantly better cyclist than what she showed. But she never had a chance. good observation. I also notice that she has a water bottle on the bike for a race this only last 35min? I didn’t see one on Armstrongs bike.Looks like she needs to get some more drop in those bars, an ergo post possibly or the dreaded 650 wheels. Who knows, she might have been fit properly, but doesn’t have that kind of flexibility. However, I don’t think that is the case and Jordan is probably right. As for the aero bottle, if there isn’t a crazy sidewind, it will probably make you faster. In one of Joe Friels books (or maybe it was another book) they recommend a water bottle when the race is longer than 25 minutes.